Ramadan is here. 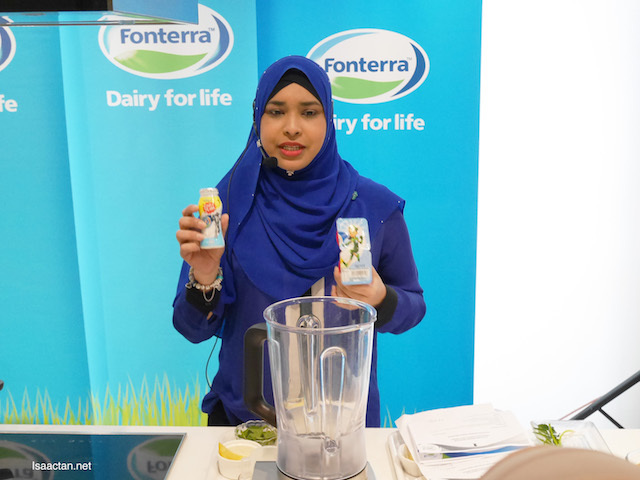 Just last week, I was at an event organized by Fonterra Brands Malaysia, the world’s leading dairy nutrition company from New Zealand, aptly named the Ramadan Nutrition Kitchen where we learned on the ways for Muslims to incorporate milk and dairy into their diets. It was an interesting event. Read on below. Reaching the venue at The Cooking House, Bangsar, we were educated on the benefits of milk and dairy products by Fonterra Consultant Dietician Puan Nurul Aziah, followed by some really easy to follow cooking demonstration. Puan Nurul Aziah, with Puan Manisya Ismail, Cooperative Affairs Manager and Chairman of the Halal Committee at Fonterra Brands Malaysia shared recipes for sahoor and iftar at a culinary demonstration using the range of dairy from Fonterra – including milk, butter and yoghurt from Anlene, Anchor, Fernleaf and CalciYum. 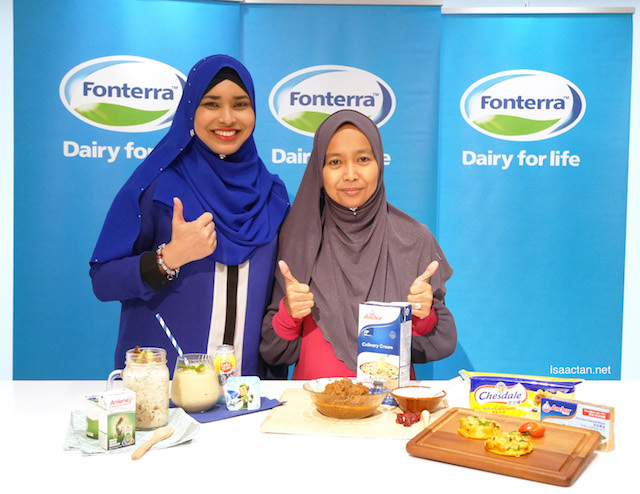 Puan Manisya Ismail, Cooperative Affairs Manager and Chairman of Halal Committee, Fonterra Brands Malaysia and Puan Nurul Aziah Musa, Consultant Dietician with their creation of sahoor and iftar recipes using dairy products by Fonterra Bands Malaysia. There are countless benefits of milk to health, and a glass of natural milk can provide the nutrients and energy needed to sustain you throughout the day. 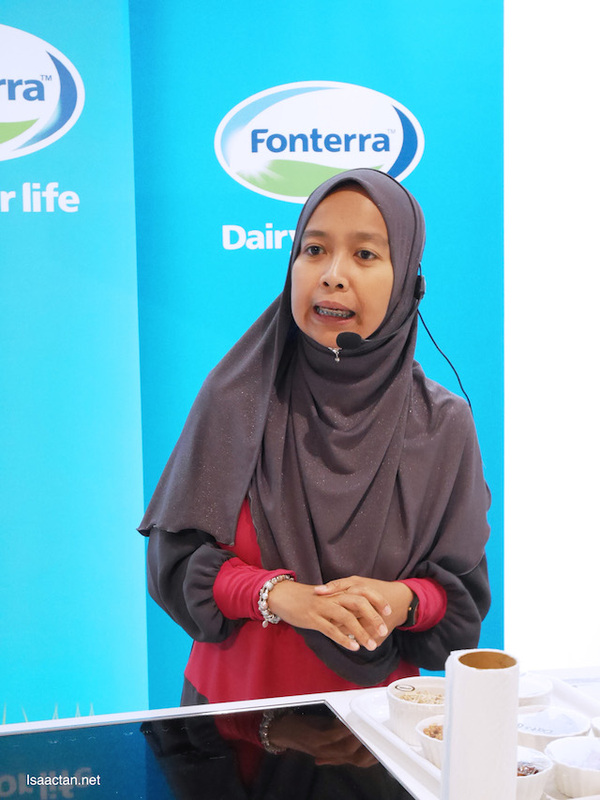 Fonterra Consultant Dietician Puan Nurul Aziah said the fasting month is a good time for people to refocus their attention on nutrition, and be more aware of the foods they are putting in their bodies to support long-term health and wellness. “Meal planning is exceptionally important for those going on the fast. 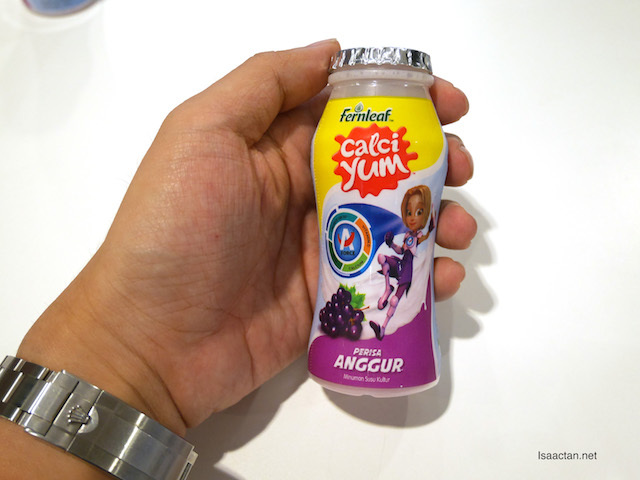 To sustain energy levels and stay hydrated throughout the day, you need to get a balanced diet of nutrient-rich foods and fluids,” Puan Nurul Aziah said. 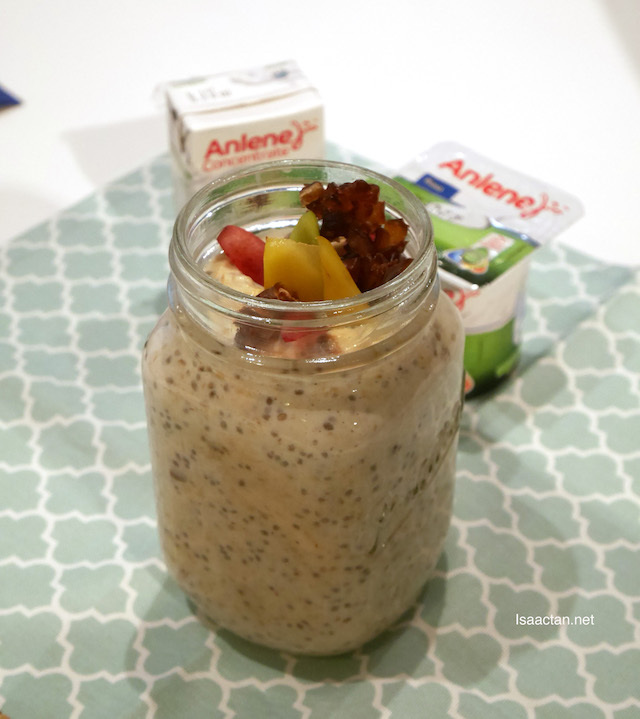 The Kurma Overnight Oats made using Anlene Concentrate and Yoghurt is highly nutritious with plenty of fibre to help sustain oneself throughout the day during the fasting period. Especially good to be taken for the pre-dawn meal, sahoor, it provides fluids and energy for the day of fasting ahead, so making healthy choices can help us to cope better with the fast. Puan Nurul Aziah showed us how she made these from oats soaked overnight in Anlene Concentrate and Anlene Low Fat Yoghurt, chia seeds and chopped dates. How interesting. 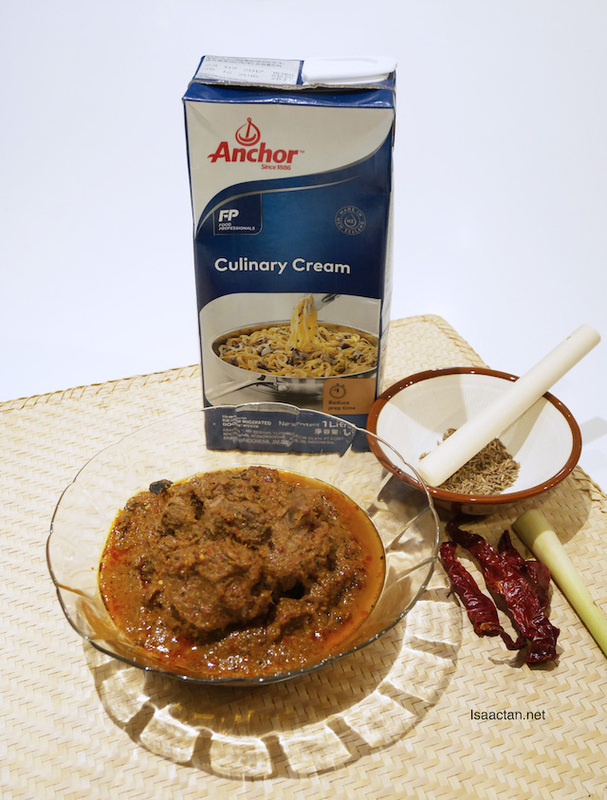 Next, Puan Nurul showed us how she prepared Rendang Tok using Anchor Cooking Cream instead of coconut milk. This is a much healthier option, with her advising all present not to go overboard when eating iftar meals during Ramadan. It tastes great too! It's just so important to incorporate dairy in our child's daily diet. This helps to build healthy bones. 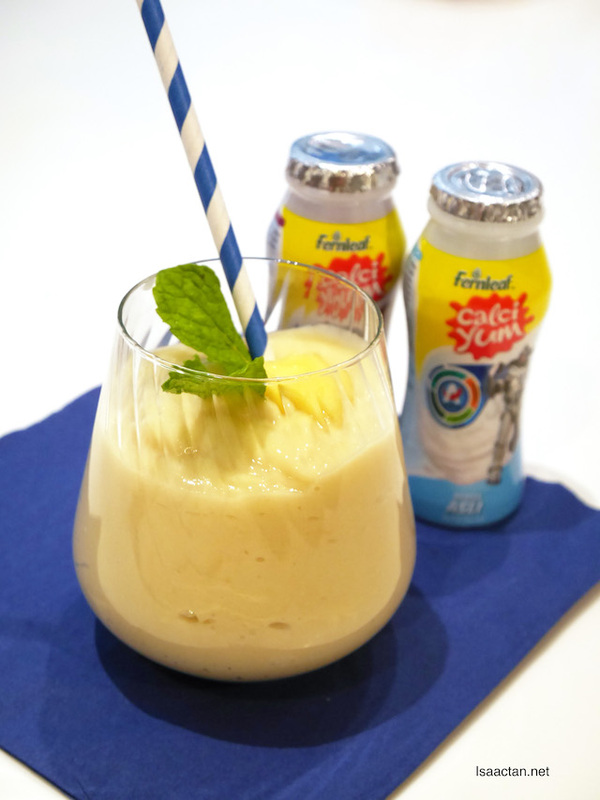 Puan Manisya Ismail demonstrated the preparation of the Mango Tango Smoothie , using Fonterra’s Fernleaf CalciYum Cultured Milk Drink and Yoghurt which helps to maintain a healthy gut which is important for nutrient absorption. “The best time to build bone density is during years of rapid growth – so childhood and adolescence are important times to make sure your children are getting the right levels of calcium to build healthy bones. Dairy’s a good way to also provide them with important nutrients such as potassium, phosphorus, protein, vitamins A and D. A” Puan Manisya explained. 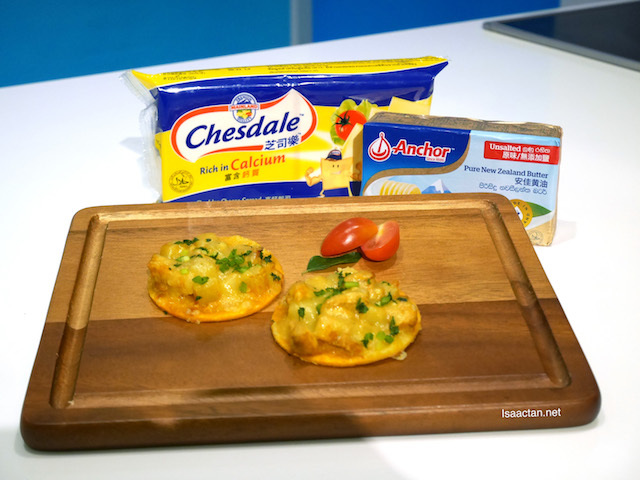 Puan Manisya also demonstrated how to make Chicken and Potatoes Mini Pizzas incorporating the goodness of dairy with Anchor butter and cheese, and Fernleaf Full Cream Milk Powder. “This recipe is a great sharing appetiser for Iftar and is also a great snack before bedtime after Terawikh prayers. 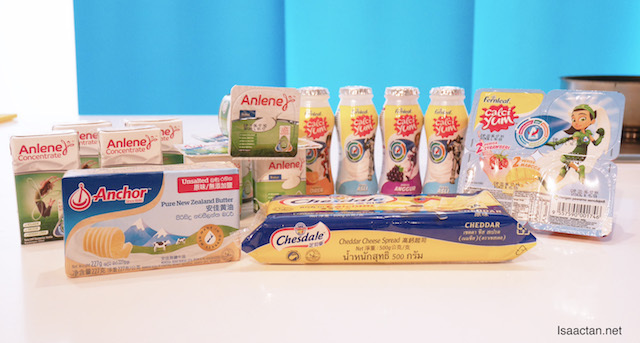 Fear not, and enjoy ALL Fonterra Brands Malaysia products with ease of mind. 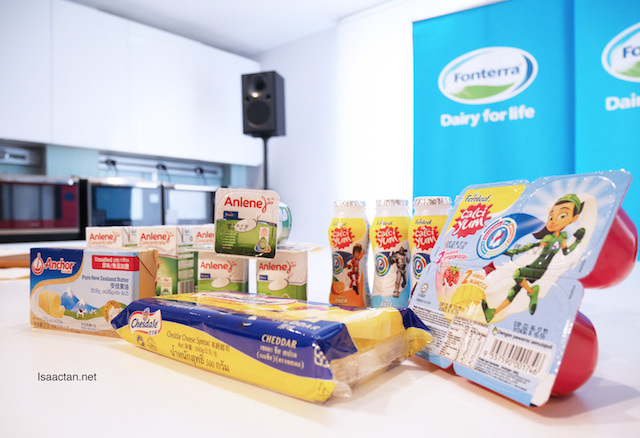 As the Chairman of Fonterra’s Halal Committee, Puan Manisya was pleased to point out that all Fonterra Brands Malaysia products are certified Halal by the Department of Islamic Development Malaysia (JAKIM). The commitment to the highest Halal standards starts from New Zealand with stringent processes all throughout the supply chain to make sure all products meet the strictest Halal standards. There you have it. It was a really fruitful session with both Puan Manisya and Puan Nurul, learning a thing or two about the benefits of dairy products in our daily diet. To all Muslims fasting this month, happy fasting, and remember to watch your diet especially during sahoor and iftar when breaking fast. Eat healthy, be healthy.